Call now for your FREE cost estimate! Trenchless Sewer Services for any pipe size and location. At A1 Sewer & Drain is a contractor of pipe trenchless solution, we’ve established ourselves as the #1 local company for NJ sewer services, including trenchless solutions for sewer pipe repair. With only minimal or NO digging, we can provide professional pipe or system repair, installation, and replacement for underground pipes of all kinds. Whether it’s a sewer line, water main pipe line, or even a natural gas supply line, we use the latest innovations in sewer repair services technology and engineering to our advantage. Our specialty is trenchless sewer repair, along with trenchless water line and gas line repair. In the past, the extensive excavation needed for processes like sewer line installation magnified the expense, disruption, and safety considerations associated with sewer and water services. Today, new technological innovations have led engineers to develop trenchless solutions, a better approach to underground pipe installation and repair. Trenchless sewer repair and water line repair solutions provide a host of benefits over traditional open cut sewer excavation, including cost benefits, reduced land disruption, and a faster process. If you need sewer, water, or gas line repair or installation, call us any time at A1 Sewer & Drain Cleaning. We’re always available for a 100% free consultation and cost estimate for your trenchless sewer or water line repair. 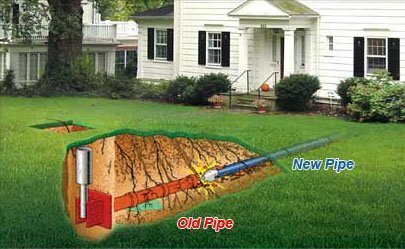 Call today for sewer Trenchless NJ at 201-645-0888. 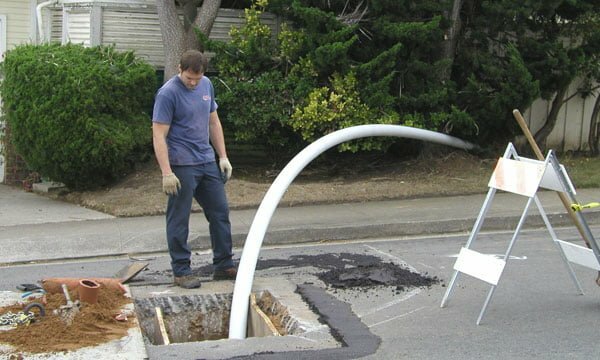 Technological developments like fiber optic sewer camera systems and trenchless sewer repair techniques have led to new innovations in construction, sewer services, and civil engineering, which have reduced the need for excavation. The term “trenchless technology” encompasses a variety of systems, tools, and techniques used for installing or repairing underground pipes and infrastructure with little to no excavation. As local contractors specializing in NJ sewer services, we offer NJ trenchless services contractors solutions for situations when sewer excavation is unnecessary or unfeasible. 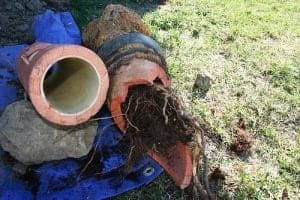 There are quite a few varieties of trenchless sewer line installation and repair techniques, many of which are useful in different settings or for different purposes. Trenchess solutions have found their way into projects of all sizes, from minor residential sewer line repairs to large-scale municipal sewer repair service systems. Here are a few of the most common types of trenchless technologies that we use for residential, commercial, and municipal sewer, water, and gas projects. Horizontal directional drilling (HDD), also known as “directional boring,” is a steerable trenchless technique for installing underground pipes, as well as cables and conduits. When trenching or excavation is impossible due to local topography or other obstacles, horizontal directional drilling provides a solution. The pipes, which can be made from any number of materials like metal or PVC, are installed along a designated bore path, and can go underneath roads, small waterways, and other obstacles to trenching. Pipe plowing allows for trenchless sewer and water line installation by pulling a plow blade through the ground. This is suitable for pipe installation at depths up to about 7.5″. Pipe ramming is a trenchless sewer line installation and replacement technique that uses a pneumatic hammer, an alterantive to jack and boring installation. The intended grade can be set and controlled by contractors, and the pipe ramming approach is suitable for installing lengths of pipe up to 150 feet. It’s quite commonly used for culvert pipe installation. Pipe bursting uses a pneumatic bursting head to break apart an old and damaged water or sewer pipe, pulling a new length of pipe in place behind it. This allows contractors to perform water and sewer line replacement in areas where excavation is impossible or highly unfeasible. Slip lining, favored for its cost effectiveness, is an excavation-free sewer repair method that can repair leaks and restore stability to damaged but salvageable underground pipes. A new pipe is inserted inside the old one, with a slightly smaller diameter. Grout is applied to fill the annular space between the two pipes. 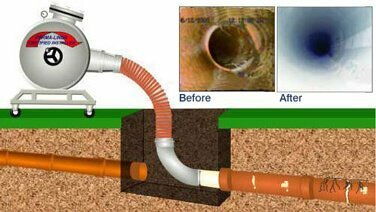 Cure-in-place pipe (CIPP) sewer relining is a common, versatile, and cost-effective solution for repairing cracks, holes, and leaks in water and sewer pipes. A fiberglass and epoxy liner is stretched over a hydraulic bladder, which can be inflated in place to press the liner against the sides of the pipe. After the liner is cured with heat, steam, or UV, the bladder can be inflated and removed, leaving a sleeve that effectively stops leaks and patches imperfections in the pipe walls. At A1 Sewer trenchless repair drain services, we’re north New Jersey’s premiere provider of trenchless sewer repair, sewer installation, water line repair septic tank, and other underground pipe services. We’re always available to talk to you about your project, including a 100% FREE consultation. For same-day service, call us any time at 201-645.0888.